We are relatively new to social media, being an old fashioned cobbler i feel i can be excused for joining the party so late. We have always looked at the past and kept the old hand crafts alive when restoring customers leather goods and never thought about how modern day Technologies could aid our services. It was our fresh blood that introduced us to social media and the world we could reach beyond our old style workshop. 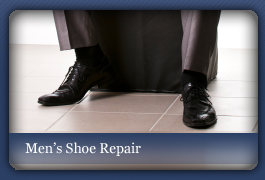 Through the hard work and quality repairs our company Original Cobblers is gaining a very good reputation within the shoe repair/ manufacturing world, As such the list of trade customers we service grows. we are now very pleased to say we are now able to offer a full refurbishment to RM Williams footwear. Although their boots are extremely hardwearing from time to time as everything in life they will require a little expert attention. 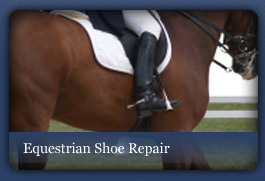 With the show jumping season drawing to an end and the wetter weather just around the corner, now is the time to inspect and service your competition boots. Every year we receive a massive influx of ridding boots in desperate need of our talents days before the new season. With the expensive holidays now over and everyone is closely watching every well earned penny, protecting the boots you invested in a while ago makes great sense. we are able to replace zip runners that no longer bite or replace the whole zip in the exact way it was originally fitted giving a flawless finish. So you have a mental image of the ideal pair of shoes, maybe came to you in a dream? We often have customers ask us where they can buy a specific pair of shoes and try to describe in detail what they look like. We see many different designs of footwear on a daily basis and can more often than not help identify the shoes they have seen or envisaged. Most of the time trying to describe over the phone exactly what you want can be time consuming or impossible to portray. the NHS does cater for the orthopaedic consumers but options are very limited and the feeling of not being listened to is often felt by most people associated with this service. 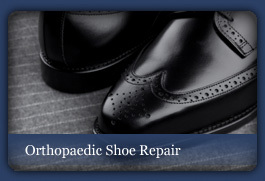 At first Class we have been repairing and altering orthopaedic shoes and boots for over 30 years. 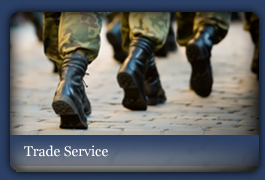 We use high quality, tough, yet lightweight materials for all our build ups. This is extremely important for the balance and comfort of your shoes. After extensive talks with the redwing shoe company and repair testing, we are very please to be working alongside the red wing after sales service team. we at first class have been carefully selected to restore there entire range, based on our extensive knowledge of the English Goodyear Welt. .